The national charity, Dyspraxia Foundation [only national charity in the UK dedicated to raising awareness of dyspraxia and championing the needs of people living with the condition] is hosting another series of its popular practical workshops as part of the three year ‘Dyspraxia Diffusion Project’, funded by the Big Lottery Fund. Trinity is proud to have worked alongside the small but successful charity since 2007 and believes – that due to both its media presence and inspiring outreach programme – the charity punches way above its weight! Topping the bill at this year’s North West “Back to Basics” workshop (Manchester, 23 April) is the prolific blogger and campaigning mum, Lorraine Lambert who will present the keynote presentation (said to be both “amusing and moving”) with the inspiring title, “Labels are for jars, not people”. 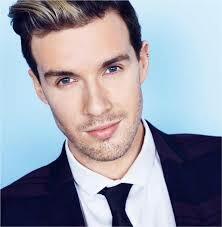 Lorraine’s son is 26-year old singer Jamie Lambert (who was diagnosed with dyspraxia when he was 12). Jamie is founding member and “one fifth’ of the acclaimed all male singing group, Collabro, who shot to fame after winning ITV’s prime time talent show, ‘Britain’s Got Talent.” Collabro is currently on a UK tour. Jamie will also be singing at the Dyspraxia Foundation’s flagship fundraising event, The Spring Ball 2016 at the prestigious, 5-star Royal Garden Hotel in Kensington. The event (to be held on May 14th) will be celebrating the charity’s recent and ongoing achievements in providing support to those affected by the condition and raising much needed funds for the continuation of its vital helpline service. At the start of the packed programme of workshops taking place next month, the Shadow Minister for Disabled People, Debbie Abrahams MP (Oldham East and Saddleworth) will address the delegates – comprising people with a personal interest in dyspraxia as well as those working professionally with the condition. So, whether a parent, adult, teacher, health professionals or employer – the Dyspraxia Foundation hopes there will be something to help and inspire everyone, whatever their specific needs and interests. Eleanor Howes, General Manager of the Dyspraxia Foundation adds; “Over the past three years, our regional workshops have allowed us to take great strides in raising awareness of dyspraxia and reaching out to individuals and families who are affected by the condition and who often feel very isolated.